HOW MUCH PRESSURE DOES YOUR BODY TAKE? If I am 100% ready for take off with all of my muscles tight, it doesn’t hurt. WHY DO YOU HAVE A COUNTDOWN? In order to prepare mentally and physically for the impact. 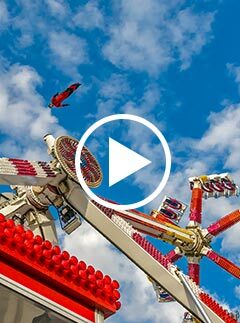 He makes his living as a Human Cannonball being shot from a cannon; free flying through the air at speeds of (55mph), heights of over (65 ft), and distances of (165ft). He lands in a narrow net, set (20ft) off of the ground and rocks the crowds every time when he hits his target at the center and takes off his helmet in a heartfelt victory salute. The Rocketman defeats gravity once again. The Rocketman Valencia has twenty three years of Human Cannonball experience. 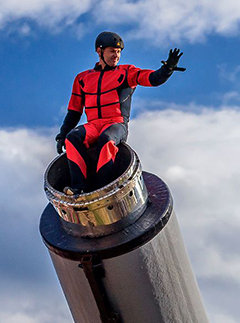 LEARN MORE ABOUT THE HUMAN CANNONBALL! BOOK "THE ROCKETMAN" HUMAN CANNONBALL! 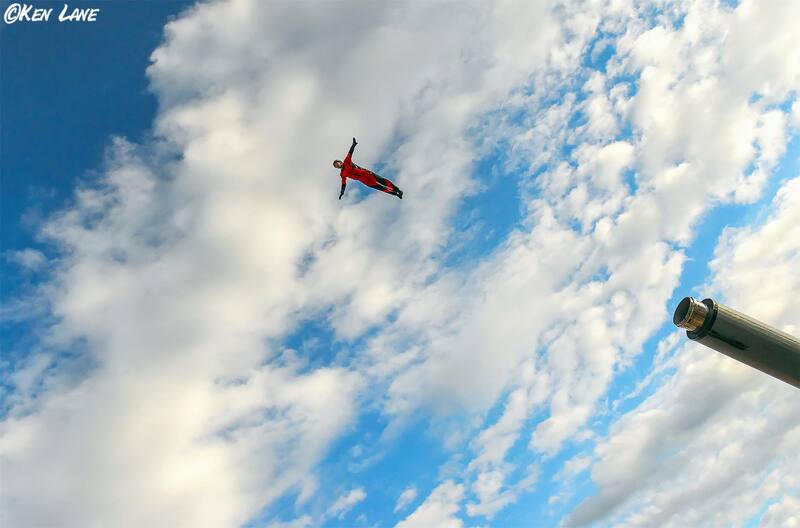 Chachi’s Wife, Robin Valencia is also a human cannonball. Check out her website HERE.